It’s been a grueling cold snowy icy winter! I am certain – however – that it is almost over and soon there will be sweet wild flowers popping out from beneath the snow. I am very anxious to get outside and dig in the dirt! 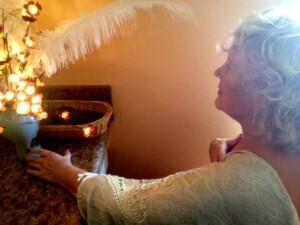 I am both inspired and challenged with my new home, the Sacred Haven sanctuary. Both this beautiful old home and me are bound and determined to not let this time in our life get get the best of it. Patience and self-care, on both our parts, are showing signs of renewal and renovation. The new healing space has moved from one room to the another, has a fresh coat of paint and new window treatments. The kitchen also has a fresh coat of paint plus a new floor. All accomplished with DYI labor shared with a dear friend who visited me for frigid February from down south! I am excited to meet and receive new visitors and renew acquaintances with those beloveds I have missed during this challenging time. Let’s do this!! The new location for Sacred Haven is within an hour from Milwaukee and Madison and 90 minutes from Chicago. You may also subscribe to my newsletter for further updates and information!